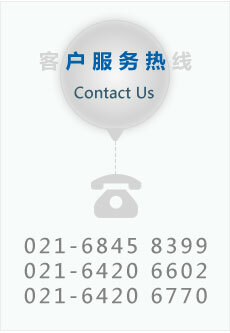 If you need to transport the shipment from China to Japan, you can choose our Japanese export courier services. Our Japan export express service provides Chinese pickup,by the east,north two major port of export to Japan,in Tokyo and Osaka port customs clearance,use our express service provider in Japan,local cooperation delivery to all of Japan.Use our Japanese export express service,your goods can be delivered by 1-2 days in most regions of Japan,in Tokyo and Osaka,more can be done one day served.Division I has its own offices and transit centers in Tokyo and Osaka,make sure your shipment safely and quickly reach any area of ? ?Japan.At the same time through the tireless efforts of our professional team in Japan,I have become Secretary-Japan courier services industry leading courier service providers,service quality is highly recognized by the Chinese and Japanese markets.Our choice Japan export express service,not only can you win time advantage in international trade in Japan, and Japanese customers get more respect and recognition. Japan reached the area every other day:a day of all areas outside the region.Special note:the Northeast,some areas of Kyushu and Hokkaido increase in one or two days will be served on aging,Okinawa belongs to super-band range. Flight stowage flexibility:In cooperation with a number of airlines,how daily departures flight to Narita Airport in Tokyo,Japan (NRT) and Osaka Kansai airport(KIX). 1.the goods shall be until 21:00 and reached the Division I East China operations center every day. 2.Special Note:official declaration of goods shall arrive before 19:30 Division I East China operations center,delivery time to be extended by one day. Service Category:Standard courier services,courier services designated day,rest day mission service,limited service mission,express courier service,car courier service,Airport express selfcreated service,freight services,third-party payment service,monthly freight service You can choose according to your needs. Special note: normal flight,the smooth clearance under the premise to achieve a day of service in Japan the service only from Monday to Thursday,and the rest is at a date or a Japanese national holiday for an extended workday.